This is a guest post from Marc Smith, Chief Social Scientist at Connected Action Consulting Group, and a developer of NodeXL, an Excel-based system for (social) network analysis. 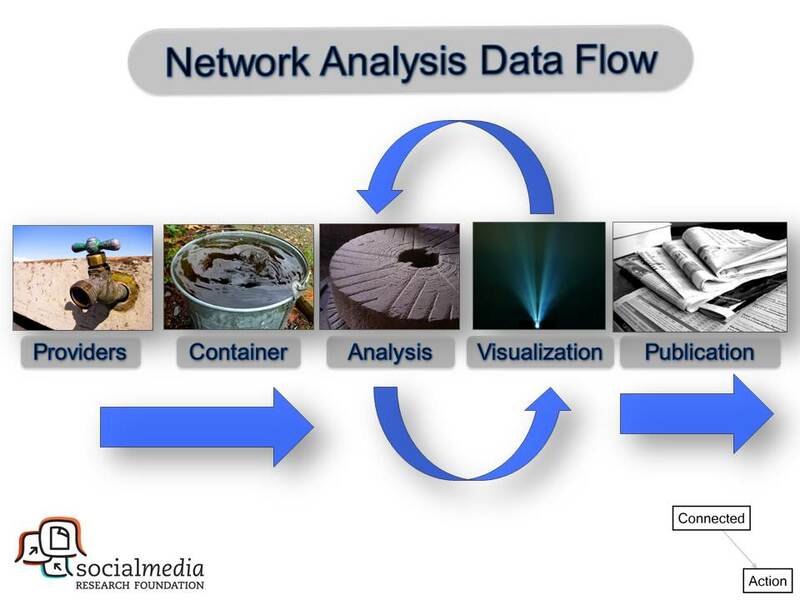 Marc will be leading a workshop on NodeXL, offered through Data Community DC, on Wednesday, November 13th. If the below peaks your fancy, please register. Parts of this post appeared first on connectedaction.net. I am excited to have the opportunity to present a NodeXL workshop with Data Community DC on November 13th at 6pm in Washington, D.C. In this session I will describe the ways NodeXL can simplify the process of collecting, storing, analyzing, visualizing and publishing reports about connected structures. NodeXL supports the exploration of social media with import features that pull data from personal email indexes on the desktop, Twitter, Flickr, Youtube, Facebook and WWW hyperlinks. NodeXL allows non-programmers to quickly generate useful network statistics and metrics and create visualizations of network graphs. Filtering and display attributes can be used to highlight important structures in the network. Innovative automated layouts make creating quality network visualizations simple and quick. This graph represents a network of 67 Twitter users whose recent tweets contained “DataCommunityDC", taken from a data set limited to a maximum of 10,000 tweets. The network was obtained from Twitter on Tuesday, 05 November 2013 at 15:15 UTC. The tweets in the network were tweeted over the 7-day, 16-hour, 4-minute period from Monday, 28 October 2013 at 22:38 UTC to Tuesday, 05 November 2013 at 14:42 UTC. There is an edge for each “replies-to” relationship in a tweet. There is an edge for each “mentions” relationship in a tweet. There is a self-loop edge for each tweet that is not a “replies-to” or “mentions”. The network has been segmented into groups (“G1, G2, G3…”) and each group is labeled with the words most frequently used in the tweets from the people in that group. The size of each Twitter user’s profile picture represents the log scaled value of their follower count.